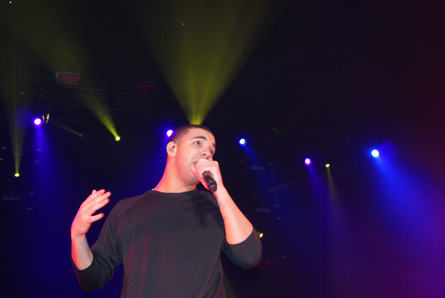 Drake, hip-hop’s next big thing, at PSU. Photo by Leon Laing. Today marks the release of perhaps the biggest album of the year—Thank Me Later by Drake. In honor of today, vigoronline.com, Music Man and Midtown Soul will give away two TML CDs. To enter the giveaway, just leave a comment in this post. We’ll announce the winners soon. Shout-outs to Harrisburg-based stores Music Man and Midtown Soul for sponsoring this giveaway. Be sure to check out these stores for the latest urban music. See below for more info about Music Man and Midtown Soul. Shouts 2 vigoronline and all the stores who still support the culture!! !